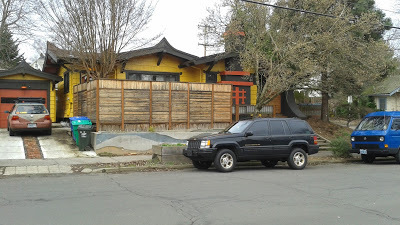 Buckman is one of Southeast Portland’s historical, fascinating and popular neighborhoods. 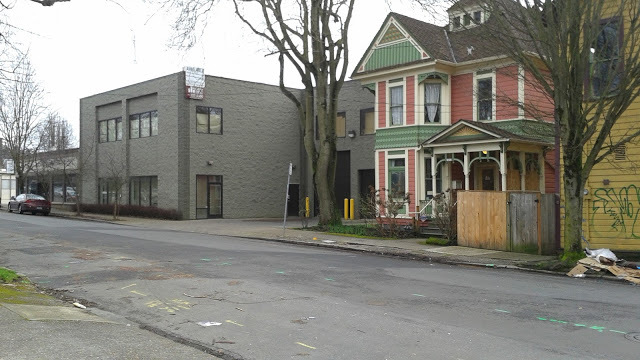 I recently took a walking tour of Buckman with Positively Portland Walking Tours. As always on one of these tours, I gained a greater appreciation for the neighborhood. We spent a little over two hours meandering the area gawking at what Eric Wheeler calls eye candy and absorbing the energy from the community. Our first stop was Washington High School. This building is a gem and a must-see. 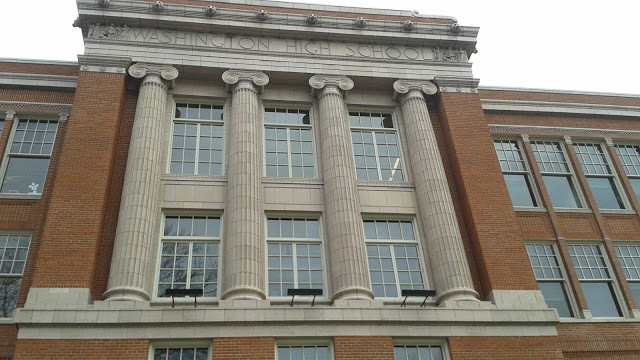 Painstakingly restored and turned into a bustling commercial building and music venue (Revolution Hall), Washington High School reminds us of an era when public buildings were like works of art and places for inspiration. It’s also a reminder of the history of Buckman and the importance it played in an older Portland. As we wandered the neighborhood afterwards, I couldn’t help but notice how the neighborhood has changed over the years. I wasn’t aware of a lost fight to designate a large area an historical district, or that it was once an area promoted for “urban renewal.” The streets are full of homes from many eras and of many styles. A Queen Ann Victorian will sit next to a 70’s commercial building. 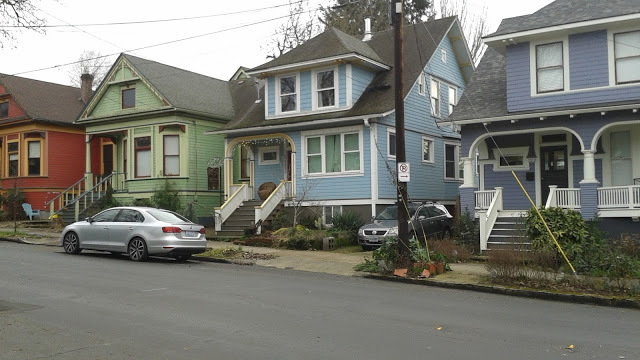 The streets still have many of the old Bungalows and Craftsman for which Portland is famous. However, you can also see where history has been replaced with newer row houses and apartment buildings. It’s fascinating to walk the streets. You never know what you’ll discover. We stumbled into Woodblock Chocolate for a tasting. Buckman also is home to many cafes and restaurants. With a walk score of 88 and a bike score of 99, and being so close to downtown, Buckman is definitely one of Portland’s most walkable and to some most livable neighborhoods. For me, one of the highlights of the afternoon was chatting with one of the residents of Buckman. He and his friends and family were celebrating in their front yard. He approached our little group, with guitar slung over his shoulder, and shared his experience of living and growing up in Buckman. He told us how his parents worked to keep homes in the neighborhood affordable. It struck me that Buckman is not just a trendy neighborhood. It’s also a community of diverse people who love where they live. It’s a community wanting to hold onto its history and character and charm, and a community that hopes time and progress will not tear it apart. Learn more about Buckman here.